Algonquin Basecamp - Algonquin Park canoe rentals and backcountry trip outfitters, servicing access points 2, 3 and 4. 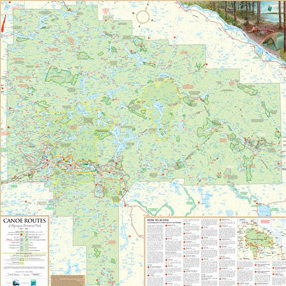 Algonquin Basecamp - Algonquin Park canoe rentals and backcountry trip outfitters, servicing access points 2, 3 and 4. #1: Small Shop. Big Service! We are a family run business and our focus is providing great gear and even better service. 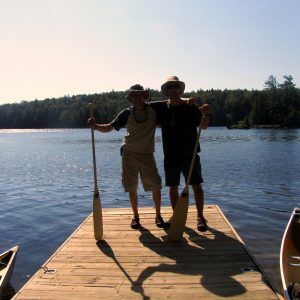 Canoe and kayak rentals, complete outfitting, trip planning, accommodations, gear and supplies. Directly across from the Algonquin Park permit office in Kearney and access points 2,3 and 4. Top quality rentals at great prices. We are on the best side of the park for that true wilderness adventure in Algonquin Park. Don’t just listen to us – check out what our customers have to say. We have outfitted groups from all over the globe. After 20 years of guiding and outfitting we have the knowledge and experience to assist with your next Algonquin adventure. We have all the seasons covered, including winter camping rentals and systems. We really do want you to have a great trip. Our objective is to help you have the best experience possible. We love our jobs and wilderness tripping. Thanks for choosing us! 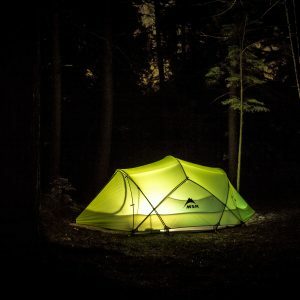 Welcome to Algonquin Basecamp! We are a small family operated business, and our goal is to make your Algonquin experience the best trip possible. 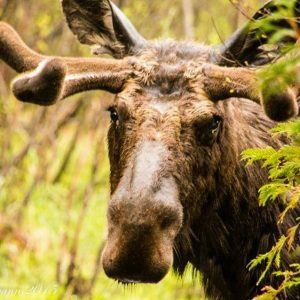 Come and enjoy our end of Algonquin Park, that offers a quiet, true “Algonquin wilderness” feel with tons of wildlife, great lakes and of course great fishing! Click here if you'd like to know more about us! Algonquin Basecamp began 20+ years ago, as a tripping company for “Youth at Risk”. 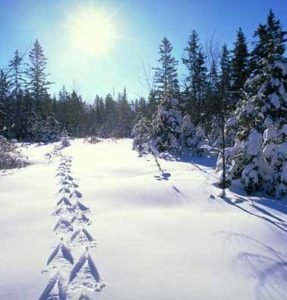 We have designed, outfitted and guided wilderness adventures for various groups and programs in many wilderness areas in Ontario. Now we offer this experience and our outfitting services to you. This will be our tenth season running our outfitting shop and we thank all of our great customers for making it a success. Here at the Basecamp, we provide complete or partial outfitting and a hearty menu selection with fresh and freeze dried food systems. 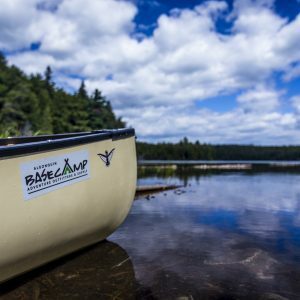 Let our basecamp, on the west side of Algonquin Park serve as your “Adventure starts here Headquarters!” We are directly on route to Tim Lake (access #2), Magnetawan Lake (access #3), and Rain lake (access #4), and we are only 20 minutes away from Highway 60. We can outfit your next canoe, backpacking, kayak, or winter camping trip. We have a great selection of gear in our little shop and if we don’t have what you are looking for, we will gladly order it in. We offer great names in our rental line and retail sales- Souris River canoes, Nova Craft Canoes, Badger Paddles, Redtail paddles, GSI, Jeff's Map, Level Six and many more. In stock we have great prices on outdoor gear and carry a great selection of tripping gear. 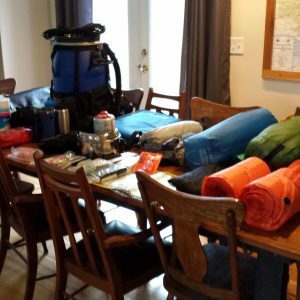 We have canoes, kayaks, paddles, life jackets, tents/tarps, sleeping bags, dry bags, pillows, canoe packs, barrels/harnesses, dog pfds and packs, cook kits / stoves, fishing gear and much more! We are located directly across from the Kearney permit office.